The iPhone 6 Plus is all about the user interface. With a screen that is 5.5 inches diagonally, and that includes some of the most impressive pixel resolution, it is hard not to feel like the user experience is as real as it can be. The lens cover on the iPhone 6 is made from sapphire crystal and comes with a fingerprint resistant oleophobic coating. While many consumers were immediately concerned about the ability to hold and use the iPhone 6 Plus in one hand, Apple seems ready to provide that answer with Reachability. This option allows users to slide the screen image lower to make one-hand operations easier. The Home button now also includes the Touch ID fingerprint identity sensor, a key component of Apple Pay. The iPhone 6 Plus brings with it improved cameras all around the device. The new 8 megapixel iSight camera comes with Focus Pixels for autofocus, a new True Tone flash, and a hybrid IR filter for higher quality. The FaceTime camera is 1.2 megapixels and includes improved FaceTime face detection capabilities. The video recording includes a 3x zoom feature, as well as a time lapse video capability so users can take still pictures while recording. The slo-mo feature is an added tweak on the smartphone camera and makes this really more substantial in the camera department. The larger screen size and higher quality display make making and viewing videos and movies easier. Apple gives the iPhone 6 Plus optical image stabilization, only available on this model of iPhones. 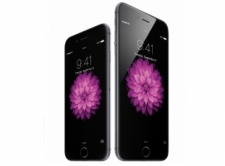 Users are a bit skeptical about using the iPhone 6 Plus for actual phone calling because of its uniquely large size. However, with the improved FaceTime camera and video resolution, this larger phablet make find a place for video calling. Internet speed seems to be of little to no concern with the new A8 chip and M8 motion coprocessor. The new iOS 8 brings with it a lot of capability to support more expansive software options. Apps such as iHealth, iCloud, and Family Sharing capabilities are gaining momentum as users are turning to smartphones for much more than just calling – if they use it to call at all. Apple released the specs necessary ahead of the actual ship date so that more apps can be created and ready for use with this larger screen option. This opens up a whole new realm of possibilities for gaming on the go. The iPhone 6 Plus, like the iPhone 6 and Apple Watch (also introduced on September9, 2014), are on the verge of opening doors for digital payment options with Apply Pay. The big difference, however, is that an Apple iPhone 6 Plus is going to take up a significant amount of room more than your typical worn, leather wallet. The best online casinos for iPhone 6 Plus are definitely going to be the ones that have a lot of power behind them, and not to mention killer graphics. With a display screen of 5.5 inches, this beast is clearly going to demand the best mobile casino software available because any flaws in graphics will now be magnified. After spending a few weeks in the lab testing casinos, here are the absolute best ones for the iPhone 6 Plus and its massive screen. We have to applaud the Bovada Casino for being the best U.S.A. casino for both the iPhone 6 and iPhone 6 Plus. The larger screen on the Plus only served as further proof that the Bovada mobile software is the best available in the United States. If you want to see their killer graphics for yourself, just click below, open a new account, and play in their practice casino for free. Now this one was a tough decision. After narrowing it down to three finalists for iPhone 6 Plus owners in the United Kingdom, we have to declare that the Bet365 Casino is the best option for you. Their software has clearly been designed with iPhone owners in mind, and based on their finished product, we would guess that most of their developers work on Macintosh computers. The Bodog Casino looks great on every version of iPhone, however their mobile software looks fantastic on the 5.5 inch screen of the iPhone 6 Plus. Whether you are relaxing in Stanley Park in Vancouver playing blackjack, or sitting by the water in beautiful downtown Dartmouth, Nova Scotia playing roulette, as long as you’re playing at Bodog you are playing at the best casino for Canadians who own an iPhone 6 Plus. 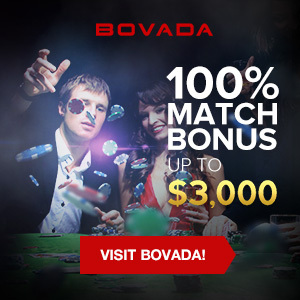 Click below to check it out for free by signing up a new account and playing in their practice casino.